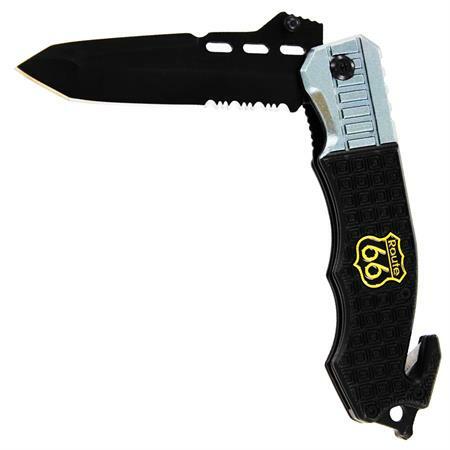 Our Route 66 emergency rescue kniffe is solidly built with a double wall zinc aluminum handle that has a steel frame. 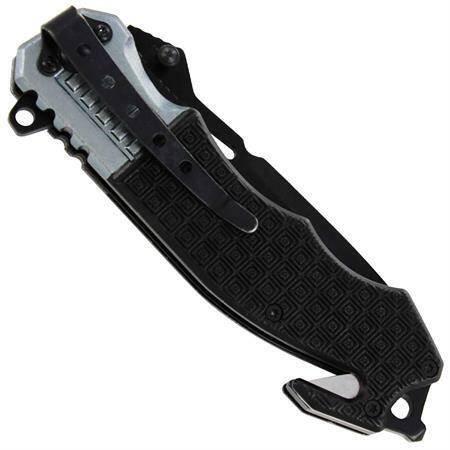 The contoured handle is textured with a belt cutter and glass breaker for emergencies. The liner locking mechanism locks the blade up tight allowing for the knife to be opened and closed with one hand without repositioning the knife in your hand. 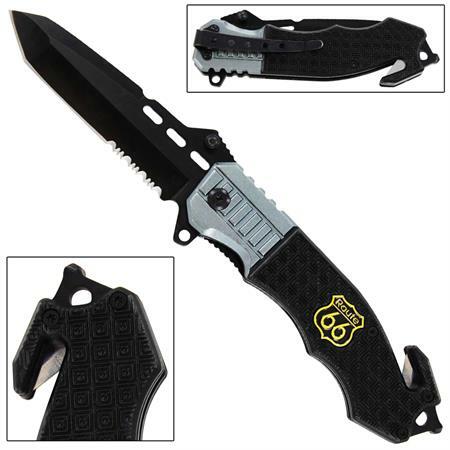 The front side of the handle features a police badge emblem. On the back is a steel belt clip. Overall length is 8.50 inches.